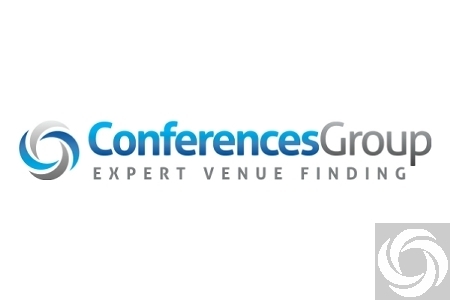 Here at Conferences UK we pride ourselves on the quality of our free venue finding service and our ability to find the perfect venue for our customers. We have been around since 2005 and two things underpin our success - Our team of expert venue finders - The use of cutting edge technology All of our team are expert venue finders with several years of experience and a detailed knowledge of the venues across the UK. Their expertise is supported by our award winning technical platform contains details of thousands of venues in the UK and internationally. Delivering a great customer experience is what enables us to thrive as an agency and our continued ability to simplify the process of finding great meeting spaces ensures that we are our customers first choice when they need a venue. How to use our service 1) Let us know your requirements Contact us to let us know your meeting requirements. You can call on 0845 351 9917 or send your requirements via our website www.conferences-uk.org.uk If you are contacting us via the website, we just need your contact details. If you are calling us, some of the basic information about the proposed event would be useful. Remember our team really are experts, so they can help you clarify those requirements. 2) We will contact you If you enquire via our website we will contact you to clarify your requirements and ensure that we understand your needs correctly. 3) We get to work Our team will then get straight to work, seeking available venues which match your requirements. The team will use both their expert knowledge and comprehensive database to seek out the best match. 4) Negotiation​ We will discuss your requirements with the venues and negotiate the best rate on your behalf. As expert venue finders we pride ourselves on our negotiation skills, and ensure you get the best available price. We even negotiate on the price of things like teas and coffees, to make sure that you get the best possible deal. 5) The proposal We will send you a concise proposal, which will include the venue options which most closely match your requirements. This proposal will generally include a selection of venues and will include details of the availability, pricing and the savings we have achieved on your behalf. 6) The site meeting We can arrange a site meeting for you visit the venue, meet the staff and ensure that it meets all of your needs. 7) Booking​ Once you are satisfied with all of that and wish to proceed, we will check the contracts for you and place the booking on your behalf. You can then enjoy your event and provide us with some feedback on the quality of our service. Who deals with your enquiry? Jane Winstanley Jane has worked in the events industry for several years and is passionate about finding a venue that matches her client's requirements Carl Brindley Carl joined Conferences UK in 2011 from a large corporate agency and over the years has gained vast knowledge of client needs and venues. Vanessa Steel Vanessa joined the business in 2013, after working as a freelance conference co-ordinator and an event co-ordinator for the National Trust. Joan Uttley Joan is the newest member of our team brings a wealth of experience across a broad range of sectors. In addition to her venue finding experience Joan has a background in PR and has run several successful businesses. What do the clients say? superb customer service with very prompt replies and attention to clients needs. I will spread the word to others... Carl was so polite, he was very prompt and professional. He accommodated all my requirements. I would highly recommend this service to anyone. A*** service Regards Kelly Jayne Winstanley was very helpful from the first time we spoke and understood all my needs. Excellent service. The service we have received from Joan Uttley has been first rate and I would not hesitate to contact her should we have venue requirements in the future. Have used Conference UK and Vanessa for a couple of years now. Always very impressed Conferences Group came up with several locations offering exactly what I was looking for and saved me lots of time. It was so simple, I will definitely use them again. Joan was very helpful indeed. This was the first time I have had to book for a conference, she was very attentive and made sure I understood everything. Good work Joan Really excellent service from Jayne. She was very prompt, answered all my questions and made my search for a venue so much more relaxing!